Abies koreana 'Fliegende Untertasse' or Flying Saucer in the German language is an apt description for this dome-shaped, flat-spreading cultivar of Korean fir. Nice light-green needles with silvery undersides, typical of the species grace the low growth. 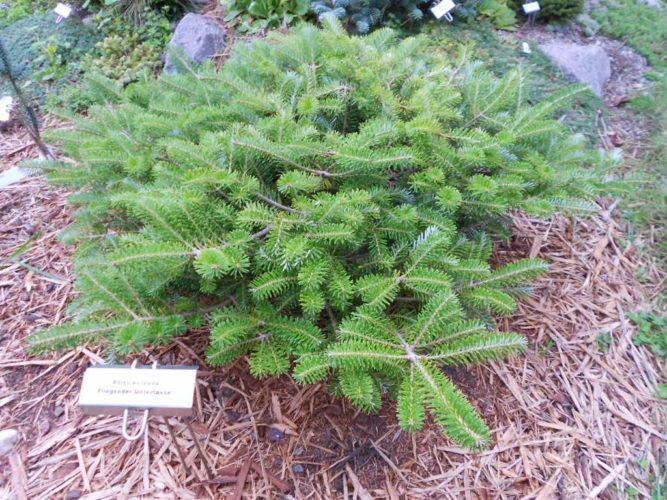 It should be noted that the RHS Plant Database lists this cultivar as Abies koreana 'Fliegender Untertasse' which is clearly a typographical error since die Untertasse is a feminine noun in the German language and as such all adjectives describing feminine nouns end with "e."
This very garden-worthy selection was introduced by the Wittbold-Müller Baumschule, Verden-Eitze, Germany in the early 1990s. 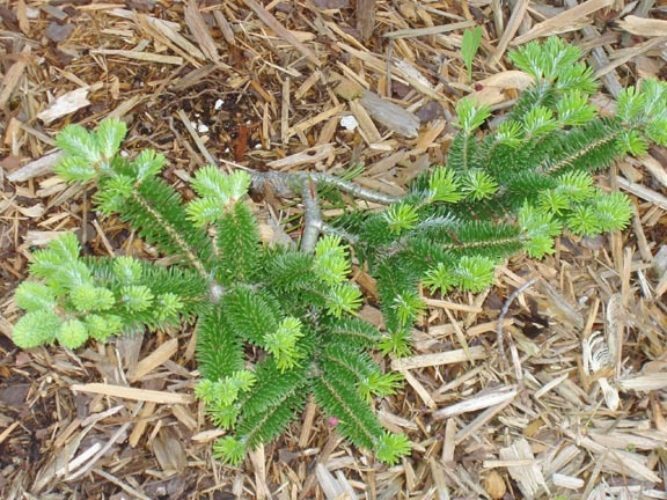 The perfect use for this plant is a corner foreground of any great conifer garden.